Our National Car Wash Day took place last weekend and we've compiled our favourite pictures and tweets from the previous few weeks. We’ve rounded up some of the best images and comments from the car washes that have taken place during March. 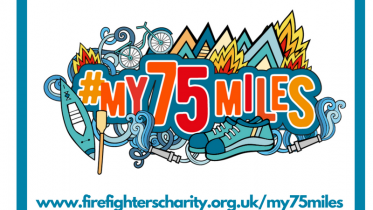 We love seeing all your images so don’t forget to tag us in your posts, Facebook – @thefirefighterscharity and Twitter – @firefighters999 to keep us updated on all the action. https://t.co/wr8NP50xLM Heres our video from Exmouth Fire Station the #BeastFromTheEast2 has just arrived and people are off to Tesco’s for Bread and Milk ! The @RothesFire personnel raised £323.60 for the @firefighters999 and local causes on Saturday 17th March. Thank you everyone that attended #Bentham @NorthYorksFire March car wash. We raised a fantastic £356.09 for @firefighters999 great work everyone. Thank you to everyone who came to our car wash on Saturday.